The sea breeze from the Genkai Sea, the ocean scent, the sound of the waves: Here, the greatest omotenashi is the nature itself. The front walkway leading to the front entrance is flanked by a Japanese garden. 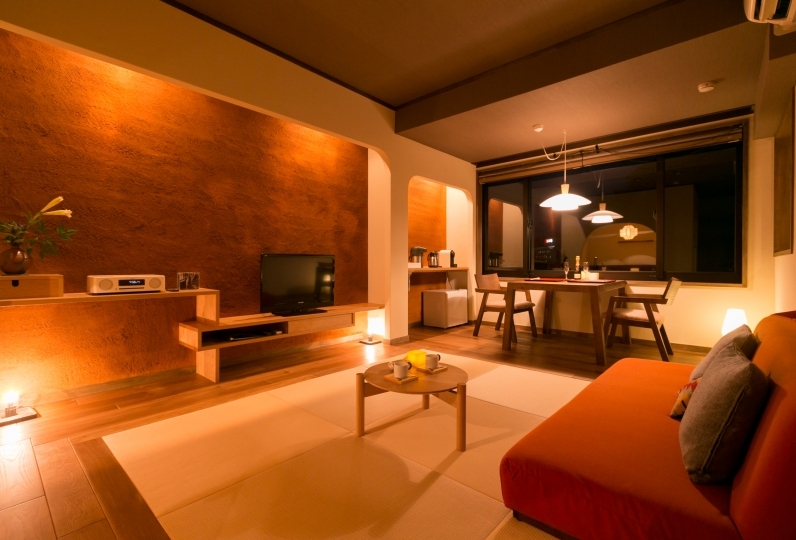 This space, that you can discern the Japanese sensibility from, foretells what your stay at the inn will be like. A calm sea or a beautiful garden is what you will see if you should look out of the windows of the inn. The tranquility inside the inn will lull you into a sense that you have stepped into another world that is strangely familiar and comforting. 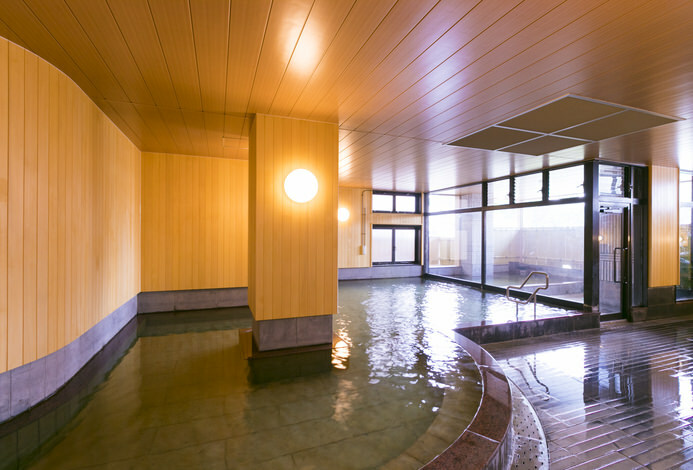 The onsen uses shioyu, sea water that is drawn from the ocean then heated. The open-air bath offers a full view of the sea of Karatsu. Relax in the bath and enjoy the moment the setting sun colors the sea before you bright red. 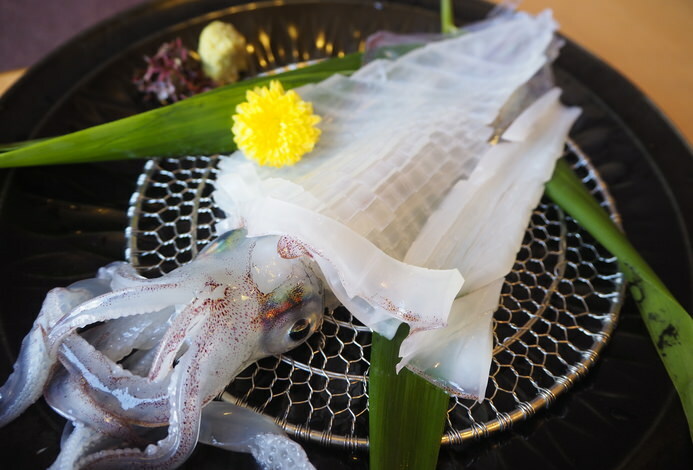 The Japanese Kaiseki is an assortment of local delicacies. There is no bigger joy than being presented with dishes that the chef prepares with care using the bounties of the region. Local premium sakes are available along with fine wines, spirits, and liquors. After dinner enjoy a good night's sleep on plush bedding the inn prides itself on. Forget time and go with the flow while feeling the winds of Karatsu. The sound of the waves is the music to which you will savor a luxurious idleness. I wonder how Wi - Fi can not be used at all in the room. If it is connected to the corridor, it was said to the front desk, but we do not use Wi - Fi in the hallway. normally. Also, my husband first used the public bath, but I was told that "something was dirty", so I did not use it after all. Instead, I used a bath in the room, but I thought that it was not bubbling in the shampoo and it was thinning. It was disappointing because I knew after entering the check-in that big baths were to enter non-guests. There was an image like an adult healing, but if you enter anything other than guests, it is the same as the super public bath in the town. Regarding meals, the dinner was quite satisfying. Besides the course, I was able to order a la carte and was also local, so I ordered 2 items and both were delicious. So, I expected a lot of breakfast, but because it was New Year's Day, there were plenty of bite size items, but it was not very tasty. The staff responded kindly and carefully to everyone. I arrived late at night because it was longer than expected. I was able to eat Kaiseki ceremony, which I thought was canceled late, but it was really high quality. Best of all, it was nice to have a squid that was much larger than I had seen on the internet. 대체적으로는 만족을 하였읍니다. 굳이 아쉬운 점이 있다면 저녁 가이세키 정식에 일본의 자랑인 와규가 있었으면 했읍니다. 조식도 제공되는 음식의 가짓수 보다는 내용에 충실 하면 어떨까 합니다. 순전히 개인적인 생... Read more 대체적으로는 만족을 하였읍니다. 굳이 아쉬운 점이 있다면 저녁 가이세키 정식에 일본의 자랑인 와규가 있었으면 했읍니다. 조식도 제공되는 음식의 가짓수 보다는 내용에 충실 하면 어떨까 합니다. 순전히 개인적인 생각이었읍니다. In general, I was satisfied. If there is anything that I do not like about it, I would like to have the Japanese pride of Wagyu in the evening Kaiseki ceremony. We would like to enjoy the contents of the breakfast rather than the food. It was purely personal. No barrier exists between the bath and the ocean so that bathers can enjoy a true panoramic view of the sea in Karatsu. The spacious, airy shio-yu bath will make you feel as though you are in the ocean itself. The sunset is spectacular viewed from the bath. Please be aware that during 10:00am-10:00pm the public will be allowed to use the bath also. Guests are provided with a free-of-charge one-time use of the hotel family shio-yu bath. The regular fee for one hour of private use is 1,900 yen. Enjoy with your family or group a leisurely time in a shioy-yu bath said to heal the skin. *Guests arriving by plane or shinkansen are asked to take a ride from Hakata Kuko station or Hakata station. 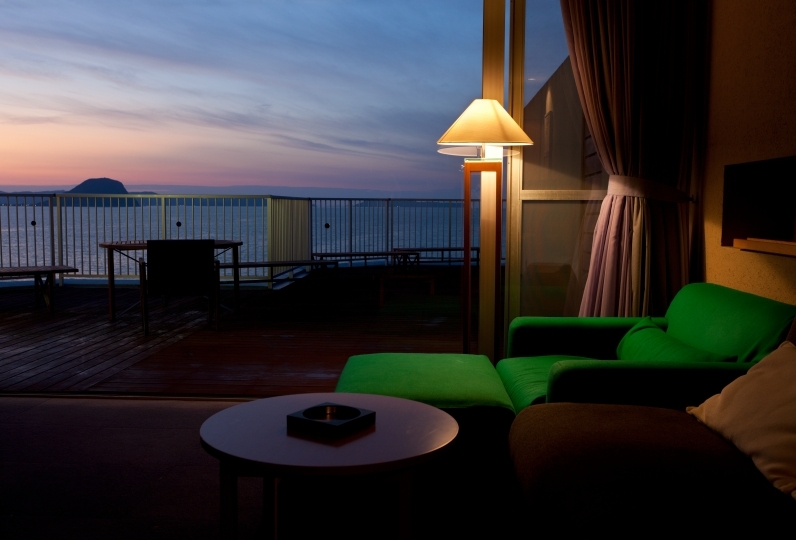 *The hotel is a 10-minute walk from JR Chikuhi line hamasaki station. If you can call us beforehand we will come pick you up at Hamasaki station.